Product version: v1.0, last updated: April 2, 2016. Sunset Coffee is an WooCommerce Themes developed by Oboxthemes. 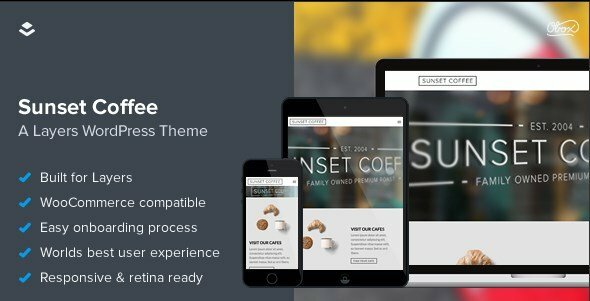 Sunset Coffee WooCommerce Themes is great theme for your coffe shop, cafe, restaurant and bar – requires the free Layers theme framework to be installed!. WooCommerce Sunset Coffee is perfect for businesses small and large. Whether you freelance, write, run a business or an eCommerce store, you’ll be covered by some amazing features.